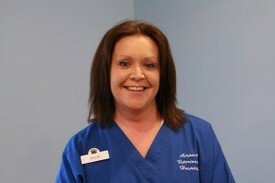 Andrea joined the team at Airport Veterinary Hospital in July of 1991. She is the proud owner of two dogs, Daisy (Poodle Mix) and Lola (Terrier Mix) along with her feline friends Sophie and Buttons. 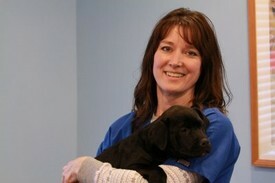 Missy began her dedicated career at Airport Veterinary Hospital in October of 1984. She has four dogs of her own (Zeus, Gracie, Lulu and Tyson), two cats (Prey and Bittie). Missy is also an active volunteer for a canine rescue and frequently shares her home with foster dogs. 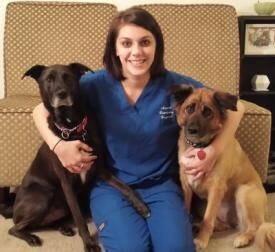 Her life long love for animals is the main reason she enjoys working at Airport Veterinary Hospital. Michele joined us in January of 2013. She has 3 fur babies at home, Max (pit mix), Diesel (Am. Bulldog/Mastiff Mix), and Buddy (Cockatiel). She has been a great addition and we feel lucky to have her here! 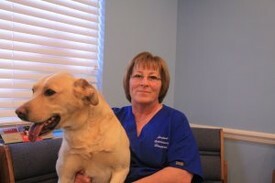 Denise has been with Airport Vet since 2009. She has three family pets, Charlie her 10 year old black cat along with her two German shepherd mixes, Dewey and Deuce. Marcie started with us in June 2013. She shares her home with three fur babies; Elvis (11 yr. old Lab mix), and Phoebe (10 yr. old lab mix) and Penelope (7 yr.old French Bulldog). 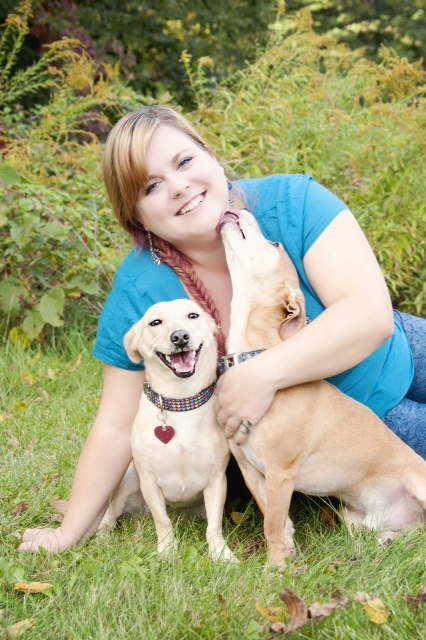 Kate has been with Airport Veterinary Hospital since May of 2013. She comes to us with a lot of experience and excitement in her career. She has two dogs, Apollo (6 yr. old lab/pit mix) and Damia (4 yr. old shepherd/chow mix). We are very happy to have her on our team! Megan joined our staff in August of 2014. She has three animals at home, Frankie (4 1/2yr old Corgi Mix), Darla (3yr old Corgi Mix), and Tootsie (5 month old hamster). 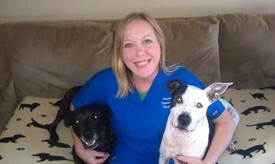 Megan loves working at AVH because she has a passion for people and animals. Megan says, "The work is so gratifying and I love going home at the end of the day knowing that I made a difference. The staff is amazing here. I've never laughed so hard at work before. I feel so lucky to be here doing what I love."